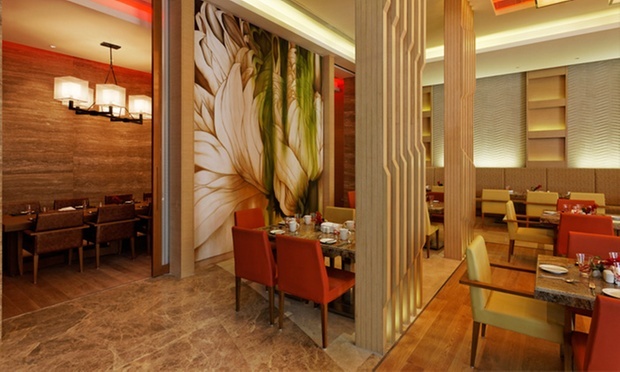 M Café is an all day dining multi cuisine restaurant with a seating capacity of 120. The authentic international ambience at M Café is complete with the traditional English live cooking stations, wire cut brick facades, classic leather and timber chairs, and just the right sprinkling of clean modern lines and rustic textured touches and splendid wall décor. An external courtyard framed by the dramatic fountain allows guest to relax outside while still experiencing the offering. Linear residential style kitchens give the restaurant a timeless feel. A combination of white marble and wooden sections, the flooring at M Café is simple yet magnificent and as alluring as the lighting. Signature chandeliers add a pinch of drama and extravagance to a heart-warming dining experience for you. M Cafe offers Lunch and Dinner buffet and an extensive al a carte experience.